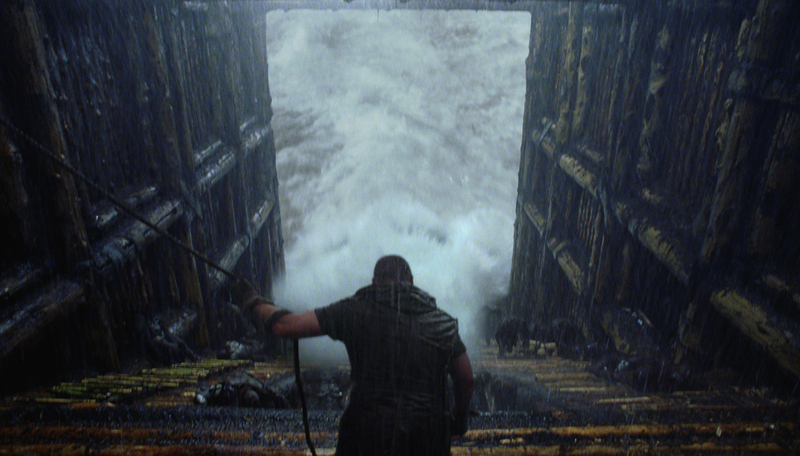 Is director Darren Aronofsky’s sprawling saga of Noah and the Great Flood a profane violation of a sacred story? Or is it a mind-blowing cinematic exploration of a character wrestling with faith, doubt, dreams, guilt, miracles and the fate of mankind itself, set in one of the most epic tales of all time? You’ll have to see it to decide for yourself, but there’s ammunition for both camps. So Noah builds a big boat, with a plan to take along only his wife (Jennifer Connelly), their three hunky sons, an orphaned girl who’ll grow up to become his daughter-in-law (Emma Watson)—and the only creatures on the planet that haven’t defiled and depleted it, the animals. You probably know the rest of the story. But you probably don’t know the parts about Noah and his lineage being plant-loving, peaceful vegetarians, while the rest of mankind are bloodthirsty, meat-craving barbarians. (Take that, Earth-killing carnivores.) Or that Noah was pretty handy snapping necks or dispatching his enemies with an axe, or a knife, or whatever weapon was handy. Or that he had a pretty sizeable assist in putting the ark together by a group of stone giants, one of them voiced by Nick Nolte. There are also subplots about teenage rebellion and young love—this is a big-budget, big-studio movie, after all—and a cool, artsy film-within-the-film when Noah explains the seven days of creation. (Cue even more controversy.) The flood itself is something awesome—and awful—to behold. And there are explosions. 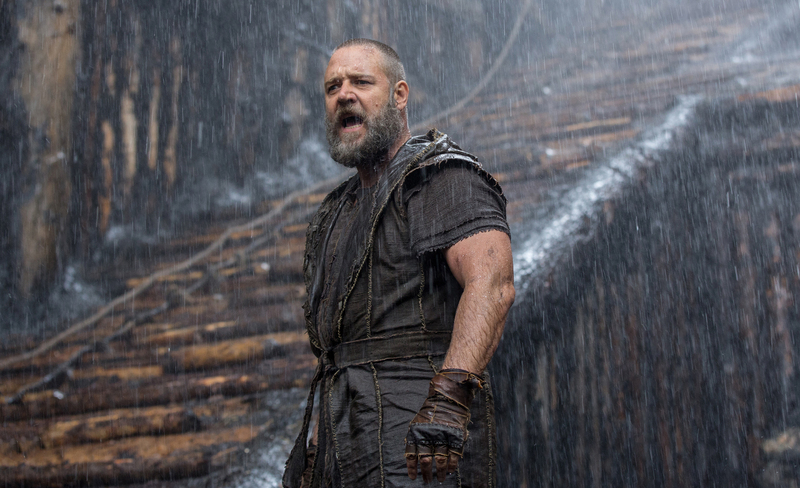 Anthony Hopkins plays Noah’s father, Methuselah, and Ray Winstone is Tubal-Cain, a minor character barely noted in the Old Testament who gets elevated to his own subplot as a conniving thug of a king who threatens to derail Noah’s entire mission. 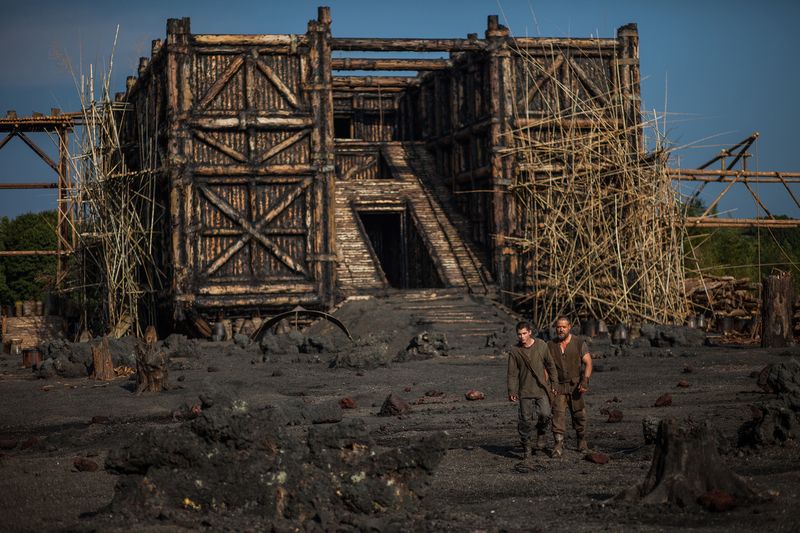 The sets—especially the locations filmed in Iceland—look spectacular. Some of the special effects have an over-the-top, sci-fi, Lord of the Rings feel that may be a bit jarring to some viewers, but hey, consider the magnitude of what the story is about, after all—a cataclysmic mega-event bigger than anything hobbit Bilbo Baggins ever faced in Middle Earth. It’s long, a lot to digest, and it certainly deviates from what you might have covered in Sunday School. But boy, is it ever interesting—and well worth seeing, especially if you’re open to a bold, trippy new interpretation of an old, old story, about miracles of varying size and shape, in which you still today might find some new inspiration.